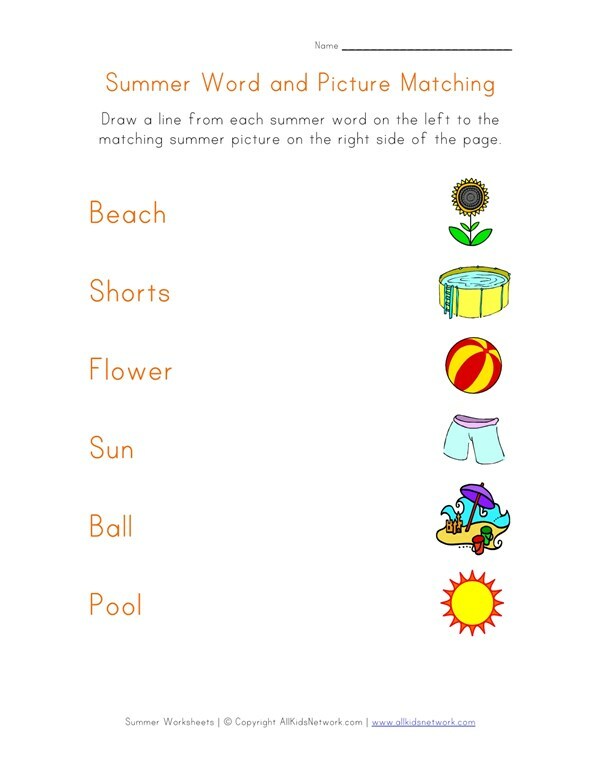 Kids will enjoy learning with this summer matching worksheet. Draw a line from each summer word on the left to the matching summer picture on the right side of the page. Print out this worksheet and check out the rest of our summer worksheets and our section of summer crafts.